Live the lifestyle you want while helping others. As a Caring Transitions franchise, you'll operate one of the most advanced, proven and recession-resistant business models. We'll give you the proven systems, extensive training, unbeatable marketing and ongoing support you need to help you quickly build a successful business and enjoy the fun, freedom and financial security you and your family have always wanted. We take the fear and uncertainty out of starting your own business because we support you every step of the way. Caring Transitions has more than 25 years of franchising expertise behind it to help ensure our franchisees' success. Our CEO has developed numerous National Franchise Systems, most of which have gone on to be rated #1 in their respective fields. Combined, these companies have awarded more than 3,000 franchises worldwide and have been recognized by prestigious national publications including The Wall Street Journal, Entrepreneur, Small Business Opportunities, Inc. as well as CNN Financial News and others. The Next Big Wave in Senior Care! 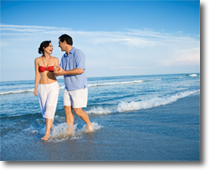 Baby boomers and their aging parents have created a huge opportunity. 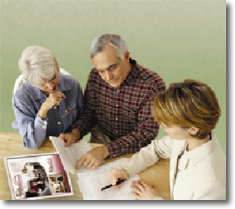 A huge opportunity has emerged as the first big wave of Baby Boomers enters retirement. They're finding it necessary to help their aging parents downsize and relocate to safer, more affordable, convenient living arrangements, such as assisted living communities, skilled nursing centers or a family member's home. 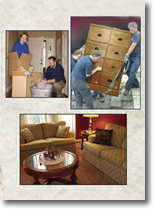 To make this transition, families often need assistance moving and liquidating household items and managing estate sales. Ranked "Top 50 New Franchises" by Entrepreneur and "VetFran Featured Franchise" by Vetrepreneur in 2009, Caring Transitions is an incredible opportunity in a recession-resistant industry to make money, enjoy success, and have the flexible lifestyle you and your family desire - whether it's taking more vacations, achieving financial security or just enjoying more free time with friends and family. You'll provide much needed and appreciated services to Seniors and their families while building a successful and profitable business. Follow our proven system and let Caring Transitions help you achieve your financial and lifestyle goals. We provide an easy, Total Solution for families and their loved ones by offering this high-demand service with 6 distinct profit centers. Contact us today to break into this high-demand industry. You'll have the ability to help others, make the money you want and have the freedom and lifestyle you desire. Interested parties should have at least $24,900 liquid capital to invest. Click on Request Information for FREE info on how to open a Caring Transitions franchise today! Please Note: This Caring Transitions franchise opportunity and other franchise business opportunities, businesses and franchises for sale on this web site are not to be considered as an "offering", "franchise offering", suggestion or recommendation by Franchise Leader™. This advertisement depends entirely on the truthfulness of the information provided by our advertisers which includes, but is not limited to, franchisers, franchise brokers, franchise consultants and business brokers. Franchise Leader™ recommends that you consult a lawyer, financial consultant, accountant or professional advisor before buying a franchise or business opportunity or any type of business. By using this form or any part of our website, you have agreed to all terms and conditions of Franchise Leader™. Please review our Terms & Conditions for more information.